Premium Quality: Eye protection Lamp beads make the light more natural, 168 pcs LED bulbs using low voltage AC power are safer, not dazzling. Light stand is constructed from aluminum alloy, giving it ex-ordinary strength. Large Compatibility: Compatible with most dslr cameras and smartphones, even matching mirror as long as you use a hot-shoe adapter. 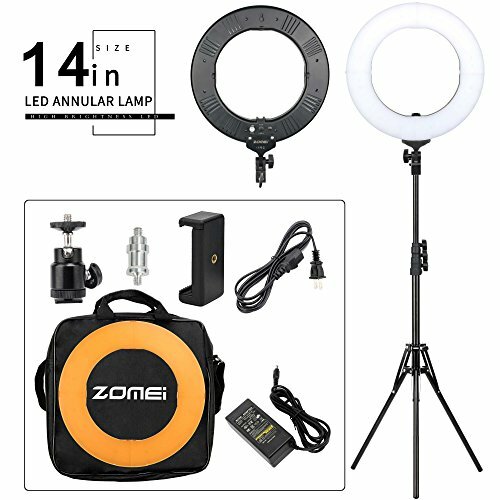 Application Range: Widely applied to lighting, fashion, wedding art, advertisement photography, makeup, YouTube videos, studio shoot, portrait photography and live streaming, etc. If you have any questions about this product by BAIPAK, contact us by completing and submitting the form below. If you are looking for a specif part number, please include it with your message.